National Science Week celebrates science diversity. 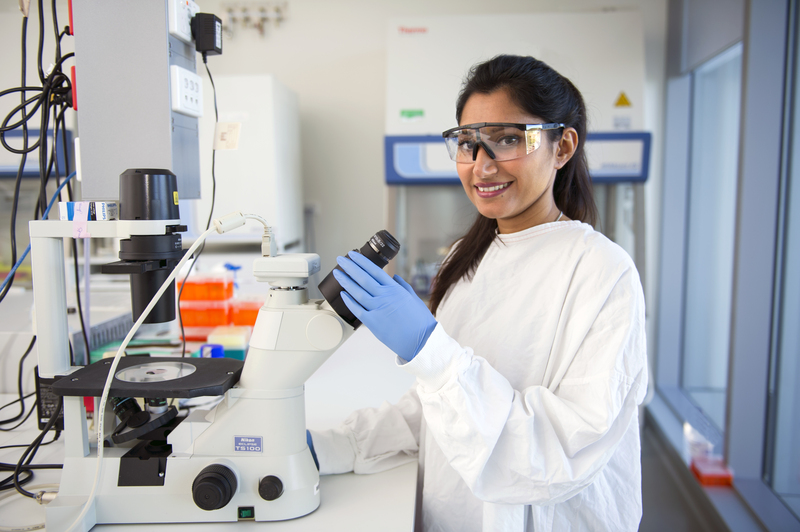 Following a degree in Medical Science, PhD student Jessica Lazarus continues her research journey in NeuRA’s PhD program. Heritable changes in gene expression that do not involve DNA coding sequence modifications are referred to as ‘epigenetic’. DNA methylation was the first discovered epigenetic mark, and remains the most studied. I will be using DNA methylation as a mark for epigenetic modification. It is understood that epigenetic mechanisms can be triggered by environmental factors, such as diet, smoking habits, and use of pharmaceutical drugs. Interestingly, epigenetic changes are potentially reversible which has significant therapeutic implications. While the number of epigenetic studies has increased significantly over the last few decades, the role of epigenetics in the modulation of healthy ageing and longevity has not been clearly studied in humans. The Sydney Centenarian Study is a representative cohort that provides further evidence that dementia is not inevitable at this age and independent living is possible. My studies will endeavour to provide evidence as to what genetic factors are involved in this healthy ageing process. Many long-lived individuals postpone the onset of common diseases or even avoid them until the last few months of life. Better understanding of the mechanisms underlying exceptional longevity may provide information to better characterise, predict, prevent, and potentially treat age-related neurodegenerative disease. My current research focuses on the potential role that epigenetic modification plays in exceptional longevity. I examine this by comparing the epigenetic profiles of long-lived individuals (≥95 years) with the epigenetic profiles of a younger control group (approximately 70-90 years), using a genome-wide assay. After my recently published first-author commissioned review on the epigenetics of exceptional longevity, I examined the effect of two candidate genes (identified from my literature search and a gene overlap analysis) on the expression of the gene MAPT. Importantly, MAPT has a known association with Alzheimer’s disease. In future experiments I will examine the expression of these candidate genes in human brain sections of extremely long-lived individuals, compared to brain sections of younger controls. In this way I hope to determine if my candidate genes represent novel biomarkers of the longevity phenotype in humans. Jessica Lazarus works in Assoc Professor John Kwok’s laboratory.